All India Bank Employees Association (AIBEA) has opposed the proposed merger of Lakshmi Vilas Bank with Indiabulls Housing Finance Ltd. The association urged the Reserve Bank of India (RBI) not to give nod for the merger. Lakshmi Vilas Bank had earlier said that it has received approval from the board to merge the bank with Indiabulls Housing Finance Ltd. While RBI clarified that the Board has unanimously approved the resolution, the RBI nominee directors, as is the practice at the bank, did not have to participate in the voting or express any views. But the union said that the two nominee directors of RBI on the board of the bank were also present in the board meeting and the board's decision has been taken unanimously thereby implying that the proposal has the tacit approval of the RBI. LVB may be a private Bank but the deposits in Bank (around Rs 30,000 crore) belongs to the people at large and is public money, said C H Venkatachalam, general Secretary, AIBEA. RBI is aware of the financial health of Lakshmi Vilas Bank Ltd which has not been go0d at all, he added. During the quarter ended December 2018, the bank has booked a net loss of Rs 373.49 crore. In 2017-18, the loss was Rs 584.87 crore. The Bank is also suffering from Gross NPA of Rs. 3400 crore that is 14 per cent of the total advances. "In this background, it is surprising that the Board of the Bank has taken the decision to merge with Indiabulls Housing Finance Ltd.
As it is already known that Indiabulls Housing Finance Ltd had applied for banking licence to start a bank on its own but the same was not sanctioned by the RBI, ostensibly for the reason that the company does not come under the fit and proper category to be granted a banking licence," said AIBEA in it's letter to RBI. Having failed to get a banking licence, it is now found that IBH is trying to become a Bank by merging LVB with itself, alleged AIBEA. The union further alleged it (the merger) is obviously a short-circuit method by Indiabulls Housing Finance Ltd and manage to become a bank through this method. Taking into account the fragile health of Lakshmi Vilas Bank Ltd, it is necessary for RBI to take a holistic view and merge it with one of the public sector Banks in public interest instead of allowing LVB to merge with IBH, said the union. 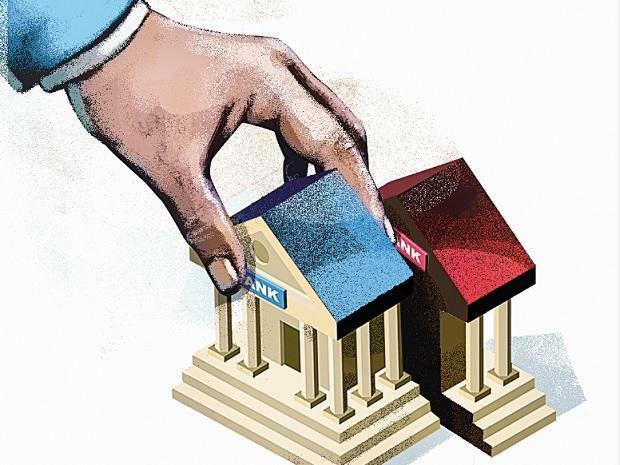 "There is no need at this juncture to go into the scenario of various private sector banks in our country after the recent ICICI Bank episode. But it is important to keep a very close watch on the affairs of these private banks who deal with substantial savings of the people at large. We urge upon you to bestow your personal attention in this regard and not allow things to happen in a hurry by permitting the merger," said Venkatachalam.